Upgrading your toys shouldn’t mean that you have to upgrade your truck. Bigger, better, and badder toys can come with some added weight, sure, but when you’re towing and hauling, a heavy load shouldn’t put the fun on hold. 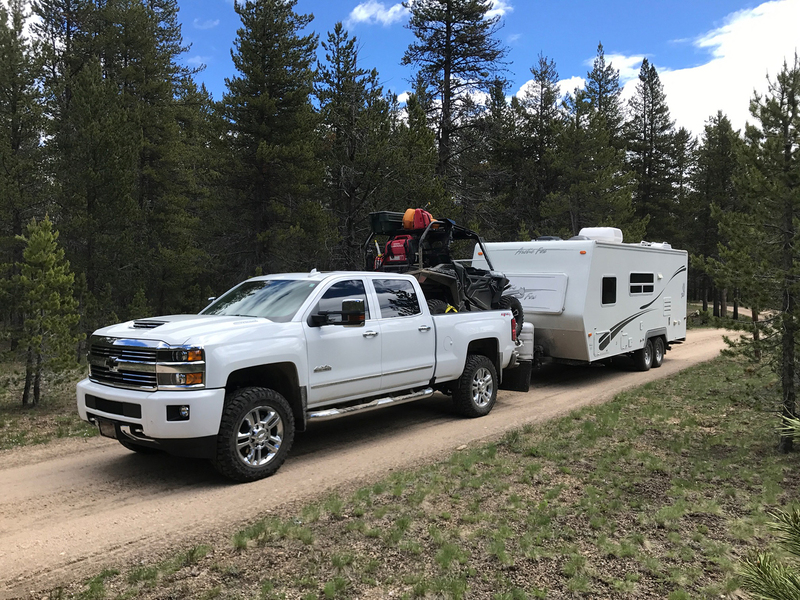 For Kevin M. in Idaho, being able to tow whatever, whenever, with no worries, is pivotal – between camping, hunting, and trail riding, he has a hobby for every season and needs his truck and trailers to be ready at all times. With a 2013 Chevy Silverado LTZ 2500HD, he’s got all the truck he could ever need to haul around whatever he wants. 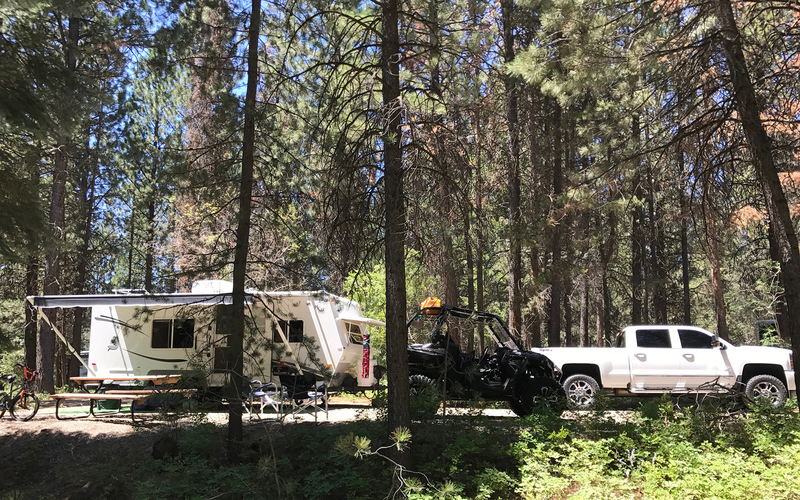 In the warmer months, that’s his 2006 Arctic Fox travel trailer, with the bed of the truck fully loaded with his motorcycles, dirt bikes, or UTV. In the winter, it’s his 2008 Mirage V-nose enclosed snowmobile trailer, fully loaded up with snowmobiles. When Kevin upgraded from a standard ATV to his 2016 Polaris RZR UTV, he noticed that the increased weight in the bed of the pickup was causing the truck to squat. With his truck loaded to the max, he knew that he needed to find a solution that would make the truck stable, level, and safe to haul that much weight. The solution was simple for Kevin – after hearing a few of his buddies swear by their own Air Lift air suspension systems, including his good friend John, owner of John’s Auto Care in Meridian, ID. John took complete care of Kevin, installing the LoadLifter 5000 Ultimate air suspension system on his Silverado and pairing it with Air Lift’s WirelessAir compressor system. John did an expert job and got Kevin ready to tow and haul safely on his next trip. After installing the Air Lift system, Kevin immediately noticed a difference. Kevin loved the Air Lift system so much that when he got a 2017 Chevy Silverado 2500HD High Country crew cab, he had it installed on his new truck as well. Now he’s free to put his UTV, KTM 990 Adventure motorcycle, or KTM dirt bikes in the bed of the truck and attach a trailer without worrying about trailer sway or squat. 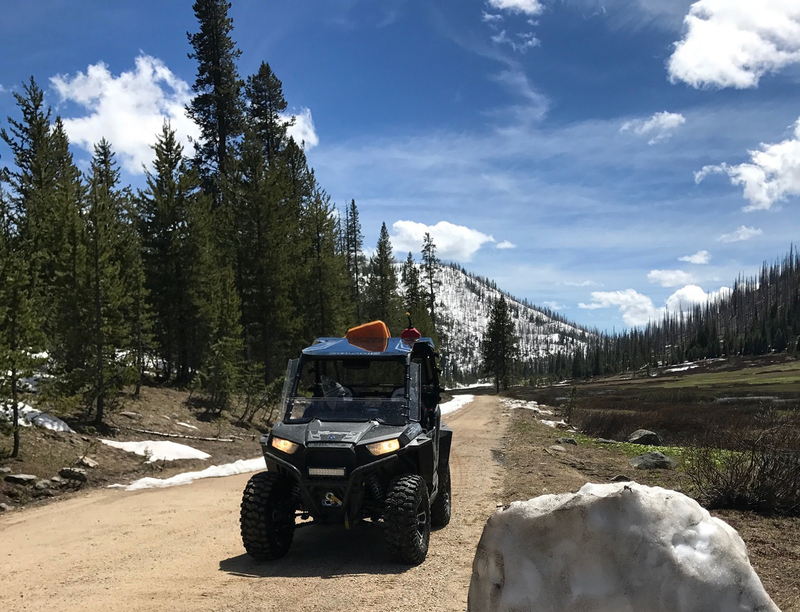 Kevin and his family are looking forward to the onset of winter and getting to dig out the snowmobiles, as well as a camping trip to the Oregon coast in the near future. Special thanks to Kevin for taking the time to share his #lifeonair with us!